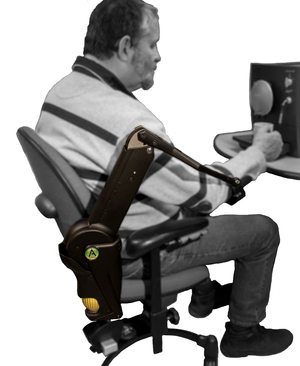 OUR PRODUCTS ALLOW PEOPLE WITH LIMITED ARM AND SHOULDER FUNCTION, TO MOVE THEIR ARMS AND HANDS FREELY (AGAIN). 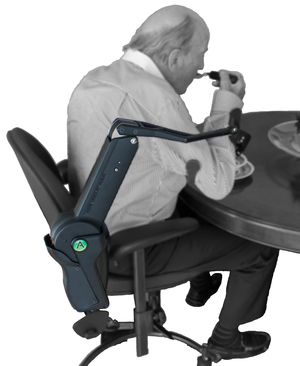 Armon Products is a developer and manufacturer of high end dynamic/mobile arm supports. 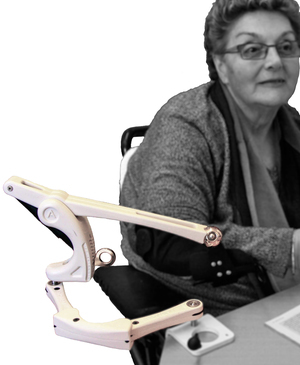 Our products support people with limited arm and shoulder function and promotes to move their arms and hands freely, and therefore make it better possible to conduct all kinds of daily activities. We create independence, freedom, self-respect and quality of life. 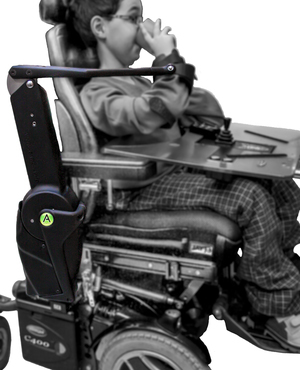 We are world market leader in this type of assistive technology products and export worldwide. We stand for: Innovation, design and durability. What’s an arm support? | For whom? Armon Products supplies research institutes, academic hospitals and universities worldwide for research, education and rehabilitation.